Schlotzsky’s is running a special promotion on Wednesday, October 18, 2017 where anyone can get a free cup of soup on the house. 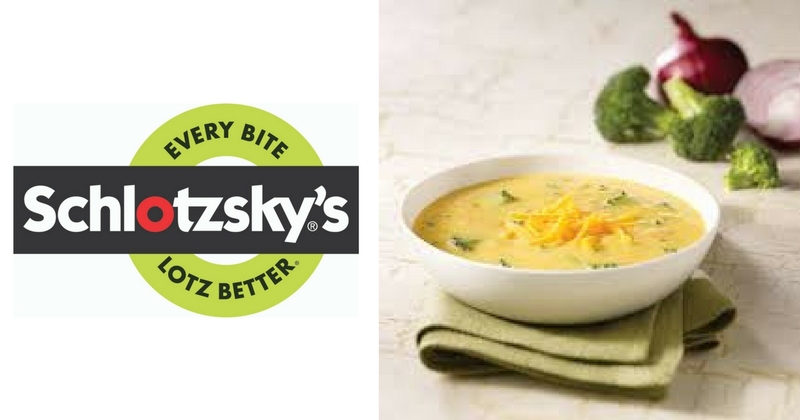 The one-day-only free soup promotion will be available at participating Schlotzsky’s locations nationwide. While no purchase is necessary to take advantage of the offer, there is a limit of one free soup per person while supplies last. Soups available for the promotion include a pair of fan-favorites: Broccoli & Cheese and Potato Bacon. Broccoli & Cheese features a creamy blend of cheddar cheese and broccoli florets, topped with cheddar cheese. Potato Bacon is a hearty cream soup with potatoes and bacon bits, topped with cheddar cheese, bacon bits and green onions.